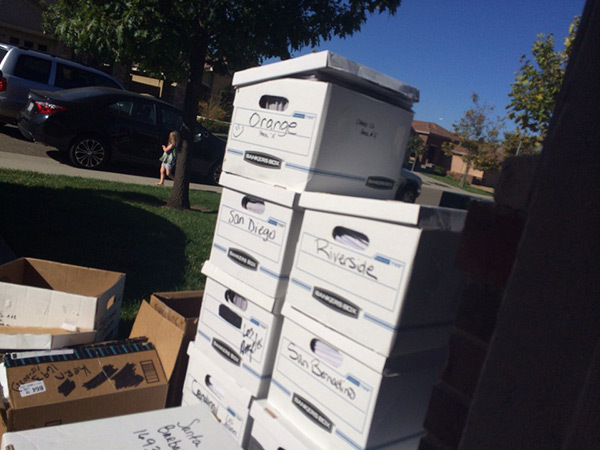 (NaturalNews) UPDATE: All the petitions from San Diego County were in fact turned and accounted for. Text has been added to clarify that the actual number of signatures can not currently be verified. 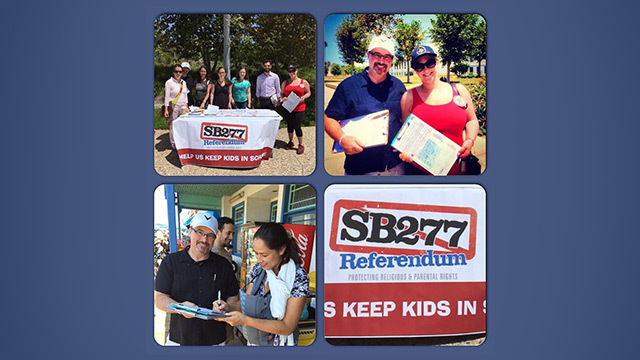 A major grassroots effort to overturn California's recently passed SB277 forced vaccination bill came to an end yesterday as volunteers reached the Monday deadline to submit signatures they have worked tirelessly to collect over a three-month period. To immediately halt the mandatory vaccine bill and qualify it for the November 2016 ballot, volunteers needed to gather 366,000 signatures. 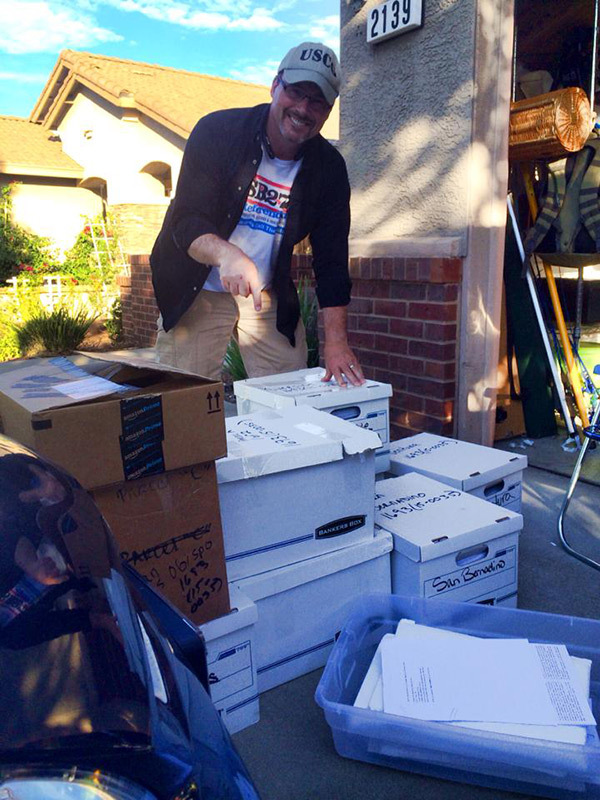 As the September 28 deadline neared, @SB277Referendum leaders appeared excited and optimistic about reaching their goal, with the initiative's leader Libertarian Tim Donnelly posting photos of boxes stacked high and loaded with signed petitions. On September 16, referendum leaders estimated that they had received at least 300,000 signatures, and two weeks later there was buzz that they had reached close to half a million signatures. Leaders also announced that they received an extremely generous donation of $150,000 from an in-state donor, bringing their total funds raised to over $300,000 – a remarkable undertaking for a grassroots effort that was given so little time to prepare. Despite the positive social media posts leading up to the deadline, things started to go awry once volunteers began submitting their signatures, with petitioners citing huge discrepancies in various counties and some claiming that they only received credit for a third of what was turned in to referendum managers Donnelly and Lauren Stephens, who were responsible for submitting the petitions to validation companies. While signature totals are still unknown, only an estimated 100,000 of the potential half a million signatures have been accounted for – meaning somehow, hundreds of thousands of signatures are missing. The missing signatures have led some volunteers to claim that the referendum was sabotaged, and likely from within, prompting organizers to file a request for an investigation to the California Secretary of State. The large discrepancies in signature counts is generating panic among volunteers, causing some to point fingers at referendum leaders, with some volunteers alleging that they dropped off many more signatures with Stephens than she turned in to the validation companies. Stephens reportedly claims that she did not discard any petitions, but she has failed to explain where the signatures have gone, an odd occurrence considering that two weeks prior she publicly announced they were expecting at least 300K signatures – meaning one would imagine she would have noticed that the number of signatures being turned in was far lower than her estimates. Despite repeated calls to Donnelly and Stephens, they have not returned our request for comment. Whatever the outcome is of the signatures that dozens of dedicated leaders are turning in today at county Registrar of Voter Offices across the state of California, I am proud to have served in this great cause with such great Americans. Despite the possible sabotage of the SB277 Referendum, the effort to reclaim your right to medical choice is by no means over. You can keep up with breaking developments on California's forced vaccination law at AlternativeNews.com and MedicalChoice.news, powered by FETCH.news.